Don’t miss our Fresh Thyme fundraiser TONIGHT! 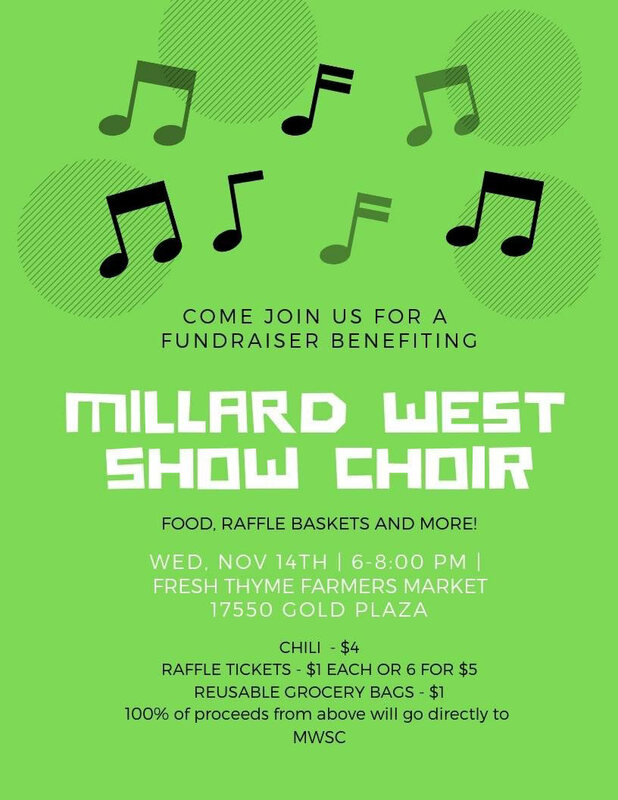 All proceeds from warm chili, reusable grocery bags, and raffle tickets for some awesome prizes (including a $200 Yeti cooler) go to benefit Millard West Music Lives. You can also pick up some super FRESH groceries while you’re there! See you there from 6 – 8pm!